Richly illustrated guide covers everyting you need to make beautiful magic with needle and thread. Learn to sew traditional and silk ribbon embroidery, make raised stitches, and embellish with beads, charms, buttons, and mirrors. Includes step by step photo instrutions that show exactly how to sew 85 different stitches. 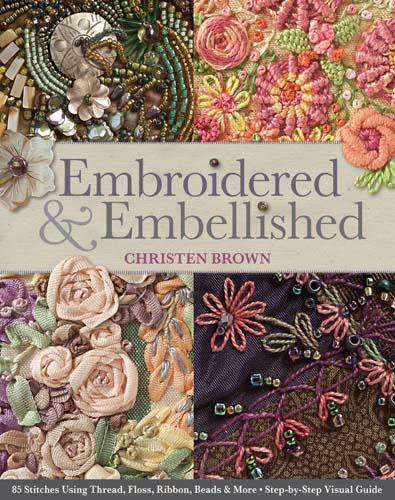 Includes 8 complete embroidery projects to stitch and embellish. 160 Pages. Available: 612013.